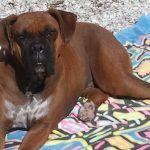 Why does Florida Boxer Rescue exist? 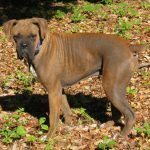 The simple answer is that we rescue unwanted and abandoned purebred Boxers and place them in safe, responsible, loving, forever homes. The reality encompasses so much more than the simple answer. 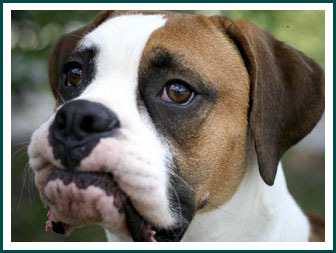 Boxers entering FBR are often sick or injured, some are suffering from neglect or abuse. Some come from loving families that can no longer care for them. FBR volunteers care for each and every one of these boxers. 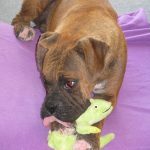 Upon entering FBR, each boxer is vetted and brought current on shots, and heartworm and flea prevention. When necessary, they are treated for heartworms, parasites, and other illnesses and injuries. Yes, we rescue Boxers! Some are healthy and up-to-date on shots and preventions, though many need expensive medical care, like Patton. 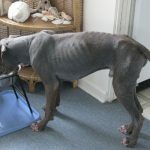 Patton’s story has a happy ending, but it didn’t start out very well for him as he had suffered extreme neglect. 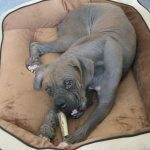 He came into rescue emaciated and required treatment for heartworms, parasites and severe demodectic mange. Needless to say, our vet bills can be very high. 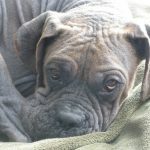 To help us cover the medical expenses of other boxers like Patton, you can make a secure tax deductible donation through PayPal or by mailing your donation to our address on the right. We appreciate donations of any amount! THANK YOU!